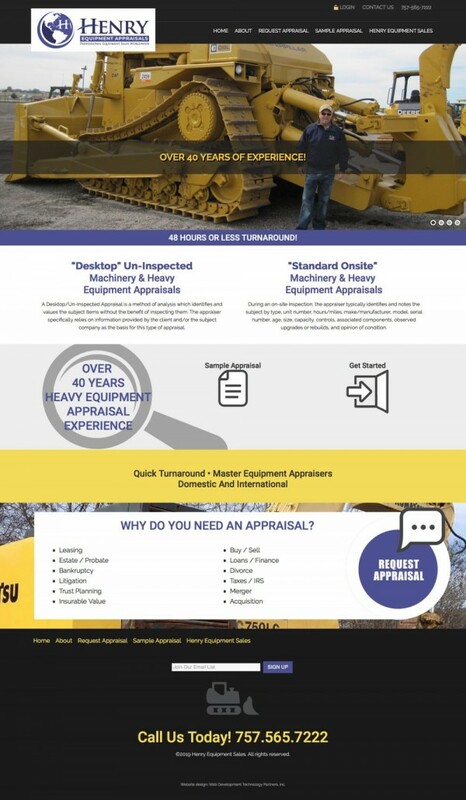 Henry Equipment Appraisals - Web Development Technology Partners, inc.
Henry Equipment Appraisals prepares all Machinery & Heavy Equipment Appraisals, in conformance with Uniform Standards of Professional Appraisal Practice ("USPAP") requirements. USPAP is a set of Standards that is applicable for most appraisals prepared in the United States. USPAP was developed by the Appraisal Standards Board ("ASB") of the Appraisal Foundation. There are 10 Standards associated with USPAP. Standards 7 and 8 establish requirements for the development and reporting of personal property appraisals and are therefore applicable to Machinery & Heavy Equipment Appraisals.